Official lowdown below about a cult comic returning, via a Kickstarter campaign, and it looks like it’s going to reach its target. More details, and video here. 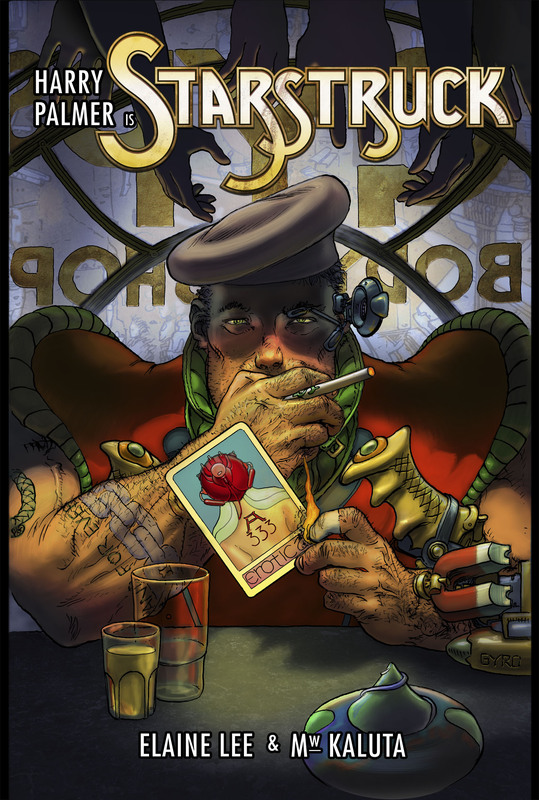 Renowned fantasy artist and SPECTRUM Grand Master Michael Kaluta and EMMY-award nominated actor-turned-writer Elaine Lee are have launched Kickstarter for the next book in their critically acclaimed Starstruck series. The campaign has made half it’s goal in the first 24 hours. This Sci-Fi Noir Graphic Novel, set in the Starstruck Multiverse, follows IDW’s Starstruck Deluxe Edition. The 167 page, signed and numbered hardback book will include 60 pages reprinted from Harry Palmer’s story in the 1980s Marvel/Epic run, expanded from within with flashbacks from our hero’s past, along with 80 brand new pages of sequential art to finish Harry’s story. Approximately 20 pages will be gallery, glossary and special features.